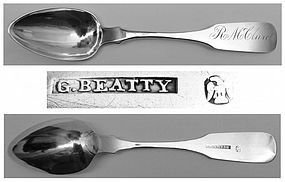 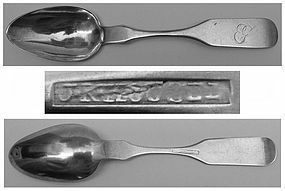 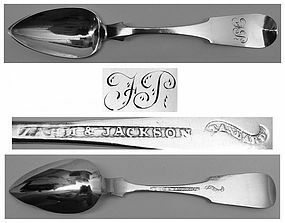 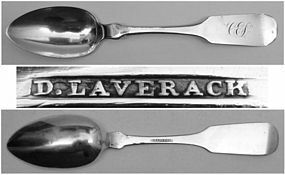 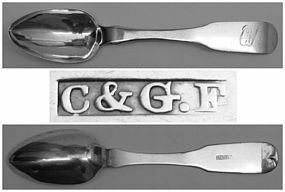 Rare Coin Silver Teaspoon by Charles & George Fletcher of Phila. 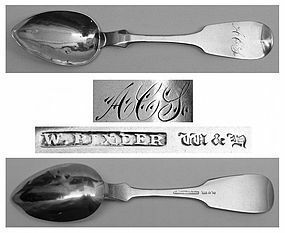 Good West Virginia Coin Silver Teaspoon - James T. Scott & Co. 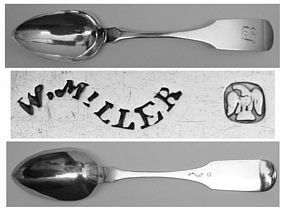 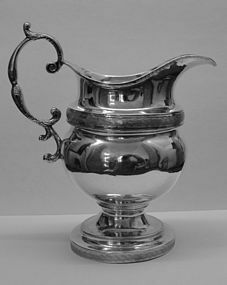 Offered is a good American coin silver teaspoon made in Philadelphia by James Watts and retailed in Wheeling, West Virginia by James T. Scott & Co. 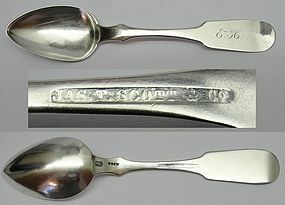 This piece measures about 5 7/8 inches in length and weighs about 18 grams. 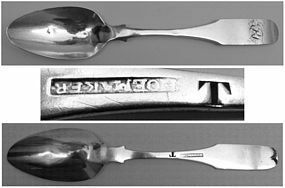 Condition is very good overall, with modest wear from normal use, and no dents, splits or repairs. 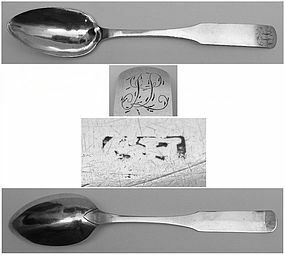 All in all a fine useful piece of Southern coin silver!